Delete, move or rename ATVI.bik, Beenox_Shift.bik, Dolby_Digital.bik, Intel_intro.bik, intro.bik, introf.bik and NSlogo.bik. This solution removes glitchy blur from the game. Replace qb_scripts.prd, qb_scripts.prf, qb_scripts.prx in <path-to-game>\Game\Data\pre with dummy files from archive's Data\pre folder. Replace skutils.qb in in <path-to-game>\Game\Data\scripts\game with dummy files from archive's Data\scripts\game folder. 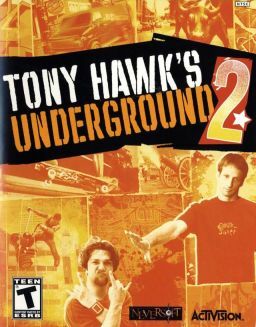 Includes ported levels from THPS3/THPS4/THUG1, Morning/Day/Evening/Night levels, themes from THPS4/THUG1/THAW, better CAS editor and online play through Openspy. Can only be selected in the main menu if a second controller is connected. Split-screen can be changed to horizontal or vertical. GameSpy Since GameSpy servers have been shut down, it is necessary to use OpenSpy. This page was last edited on 16 April 2019, at 20:46.